White Crow Studios are pleased to have supported local restaurant owner Emma Yufera-Ruiz for the launch of her new restaurant venture El Borracho de Oro situated in Edgbaston, Birmingham. 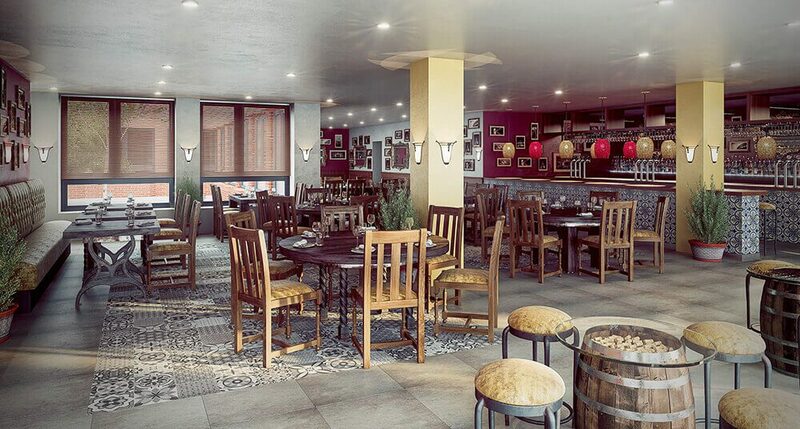 Producing a CGI prior to the final build being complete gave Emma the opportunity to start promoting the restaurant and taking bookings, Emma said ” This CGI is amazing – absolutely amazing. I don’t know how you do it – its so so clever and wonderful. I have loved seeing it. Thank you. It has put huge pressure on my builder and decorator! !”.